Ride 22 miles through Lake Mead National Park to the Colorado River for a total of 3 hours of riding time. 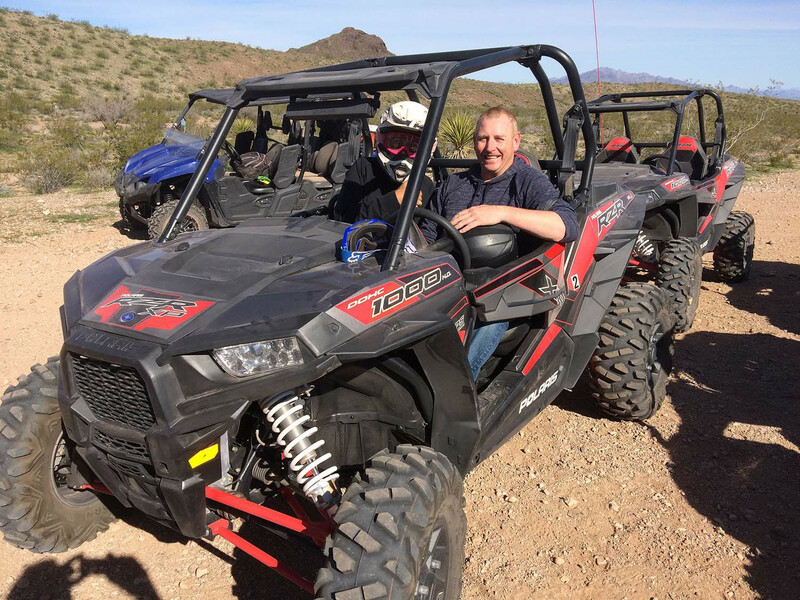 Your driving skills to the test on our brand-new Polaris Razor 1000’s. 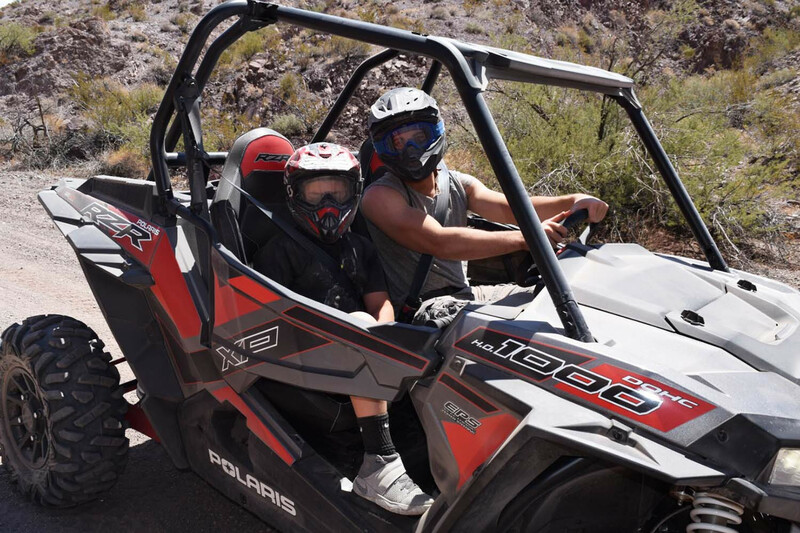 Drive through the trails of Lake Mead National Park to the Colorado River on our Scenic Motorized Razor Tour! Relax and take in the beauty of the natural plant and wildlife while experiencing the thrill of driving a high-power performance vehicle. 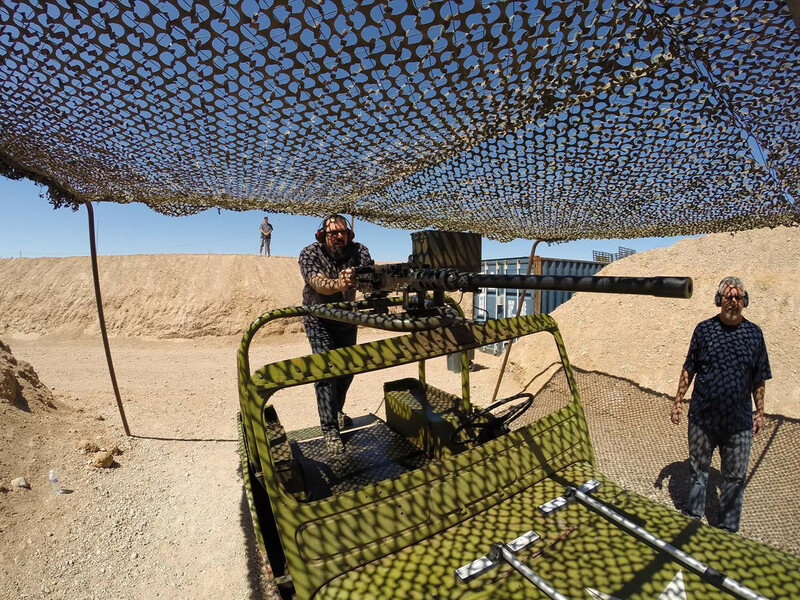 Then experience the adrenaline rush of a lifetime at our outdoor machine gun range for the Ultimate Outdoor Driving and Shooting Adventure. 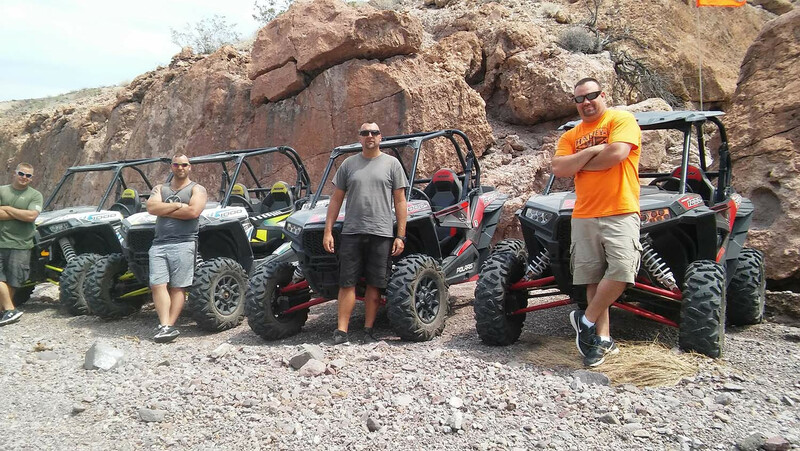 Your once in a lifetime Motorized Scenic Razor Tour begins at your hotel when you are picked up by one of our master tour guides in a private luxury shuttle. 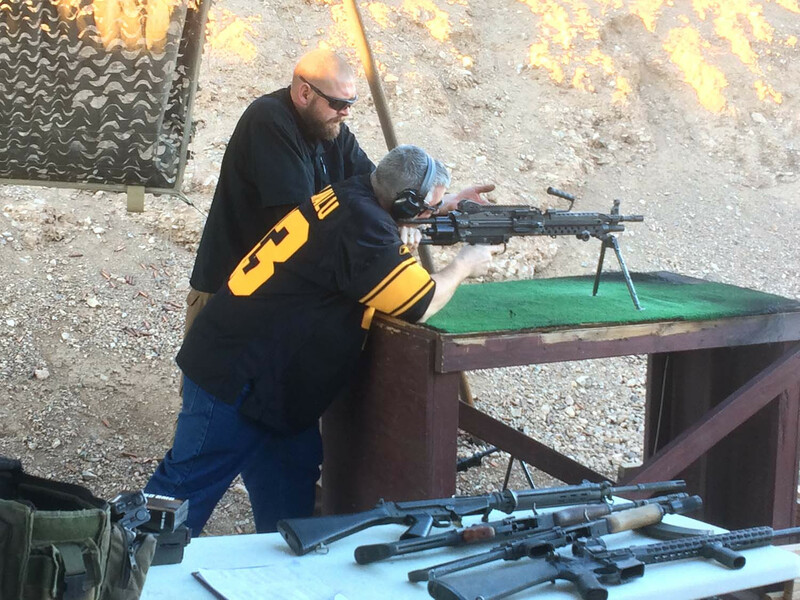 Then you will travel through the scenic Mojave Desert as you tour guide explains the history of Las Vegas, Hoover Dam, Lake Mead National Park, and the Colorado River. From pickup to drop off you will receive an abundance of information. Feel free to ask your tour guide as much questions as you have and your tour guide will be happy to answer any question you have. Your tour guide will stop by the Hoover Dam Bridge for a 15-minute photo opportunity. 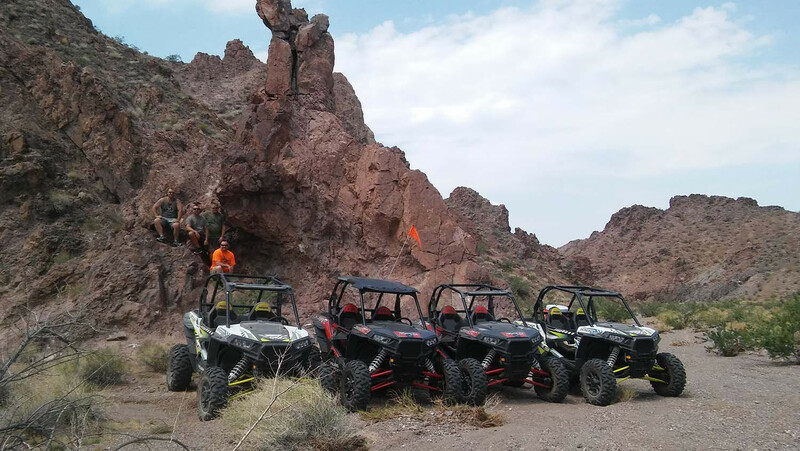 Stand 900 feet above the Colorado River for awe-inspiring views of one the World’s greatest ‘Man Made Wonder!’ Continue through the Mojave Desert to our staging area located in Lake Mead National Park where you will embark on the journey of a lifetime. Ride 22 miles through Lake Mead National Park to the Colorado River for a total of 3 hours of riding time. 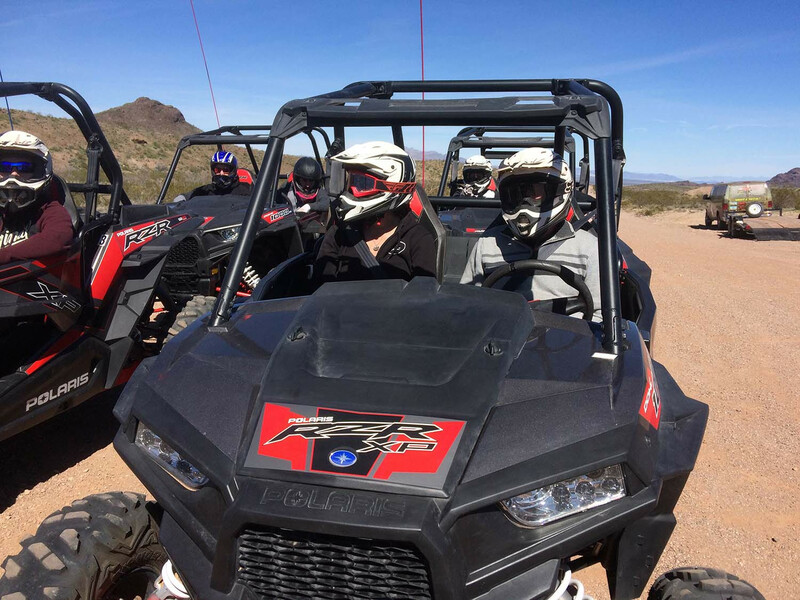 Revel in the natural forming trails while absorbing the sights and sounds of a majestic desert landscape, plant, and wildlife. At the halfway point, you have the opportunity to go swimming in the Colorado River during the summer months. After a cool and refreshing swim head back down the trails of Lake Mead National Park as you soak in the sights one last time. 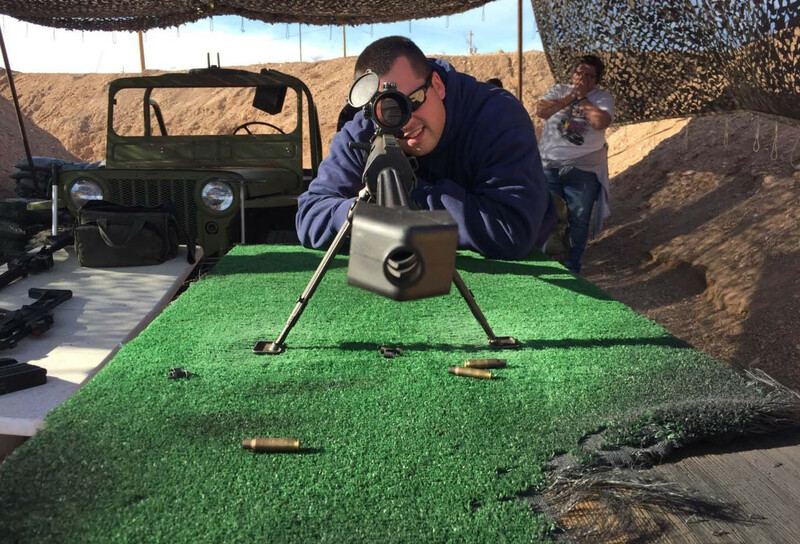 Arrive at our outdoor machine gun range for your once in a lifetime Bullets and Burgers shooting adventure! 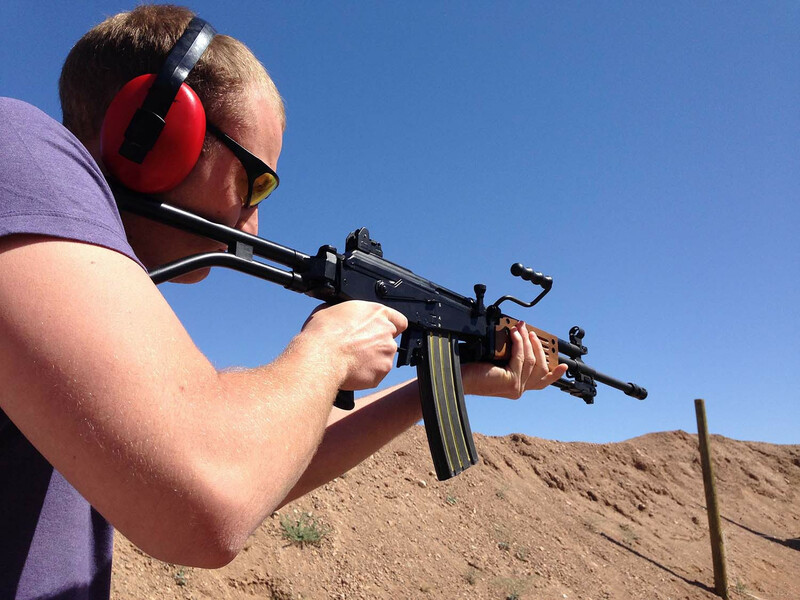 Shoot a wide variety of full automatic machine guns and specialty weapons in a private military style bunker set in a unique ‘Desert Storm’ atmosphere. 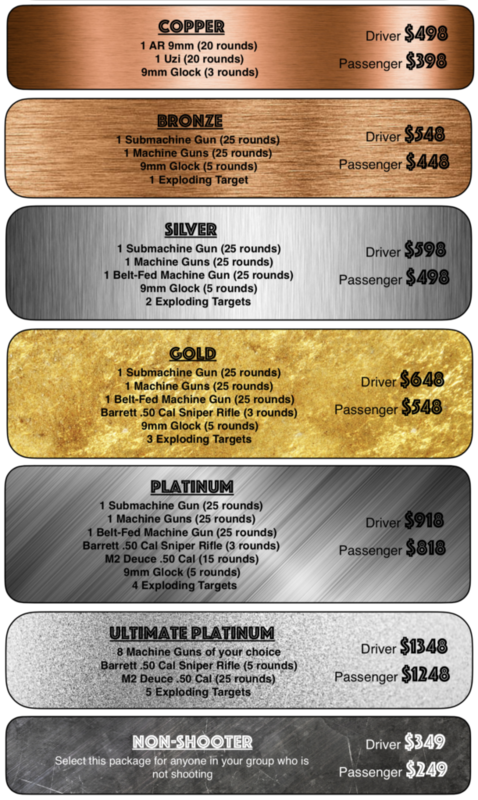 Our specialty weapons include the Barrett .50 Cal Sniper Rifle, Desert Eagle, and M2 ‘Ma Deuce’ .50 Cal Belt Fed Machine Gun. After an exciting ride and thrilling shooting experience relax at our onsite restaurant and bar where we will serve you our World Famous All American Burger made from 100% angus beef, fresh cut fries, and soda. Head back to Las Vegas with memories that will last a lifetime. Children under the age of 16 can participate in this adventure but must ride as a passenger. 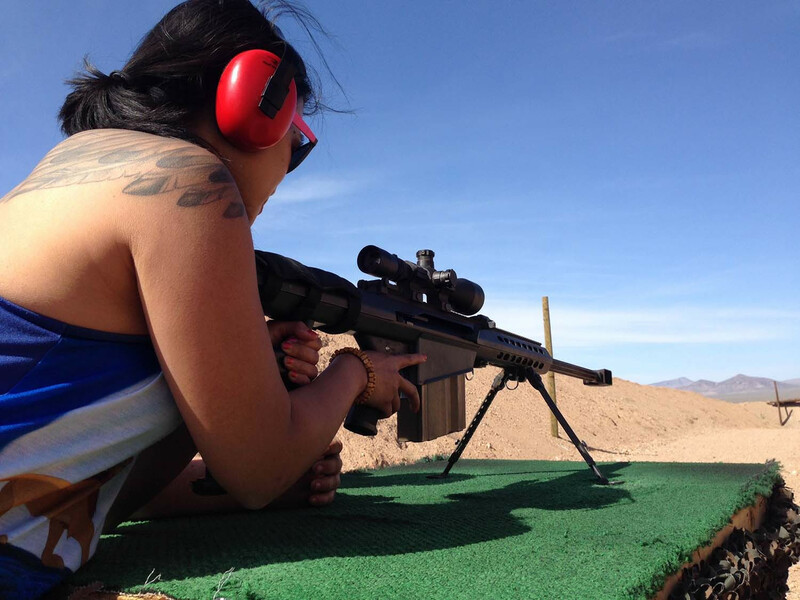 Must be 12 years old and 5 feet tall to shoot. 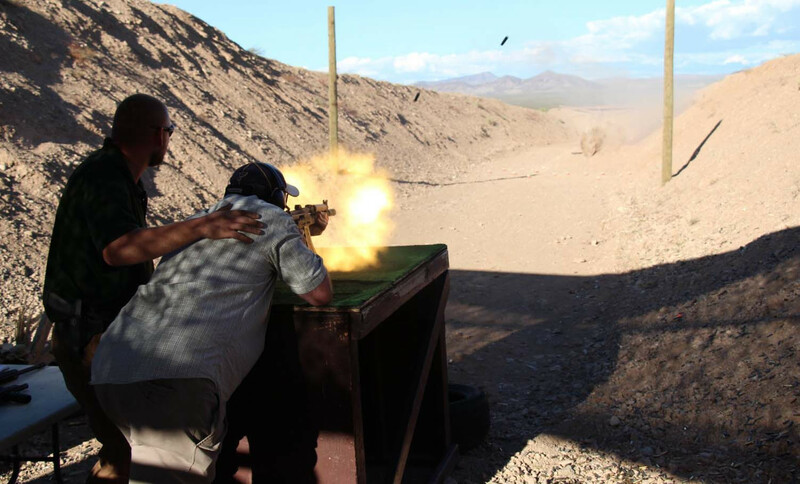 All children under the age of 12 can participate in this adventure as a non-shooter.